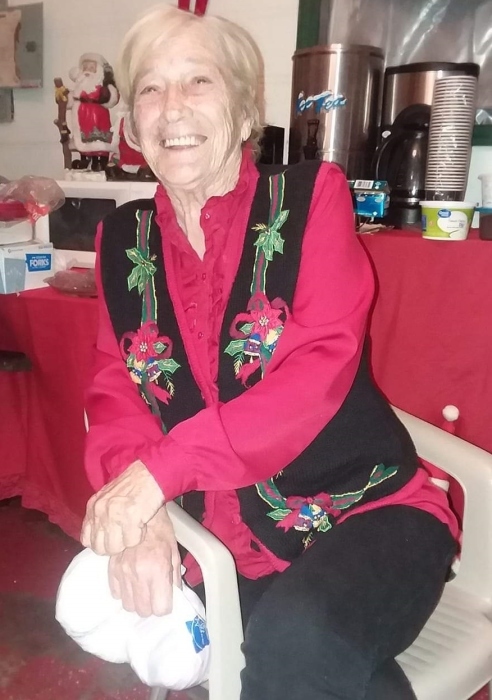 Mrs. Erlene Driggers Grisham, passed away Wednesday, March 27, 2019, in Carolina Pines Hospital after an illness. She was 84 years old. Mrs. Grisham was born in Bennettsville on November 17, 1934. She was a daughter of the late Nathan Driggers and Madie Leviner Quick. She was a member of Christian Fellowship Church. She was a dedicated army wife to the late Sgt. Kenneth Ray Grisham. She was a machine operator with Mohawk Industries and also a homemaker. Mrs. Grisham enjoyed taking care of people, where she believed in an open-door policy to her home, spending time with her family, especially her grandkids, cooking, sitting on the porch in her swing, and loved to have a Pepsi Cola with peanuts in the bottle. Mrs. Grisham leaves behind to cherish her memory; daughters, Brenda G. McCaskill of Bennettsville and Kim McIntyre of Easley; brother, Willard Quick (Sue) of Bennettsville; sisters, Nathine Gainey of GA., Dorothy Carroll of Columbia, Elizabeth “Lib” Watts (Dan) of Columbia, and sister-in-law, Alma Quick; grandchildren, Scott McCaskill (Heather), Jason McCaskill (Kristin), Jeff McCaskill (Monica), Cathy Odom, Chelsey McIntyre, and Christopher McIntyre; great grandchildren, Mary-Elizabeth McCaskill, Morgan Victoria McCaskill, Lauren Elizabeth McCaskill, Savannah Barri McCaskill, Knox Jackson McCaskill, Adalind Hazel McCaskill, Kallie Cummings, Harley Odom, Nicholas Odom, and Austin Odom. She was preceded in death by her parents and husband listed above; son, Stephen Randal Grisham; brother, Henry “Buddy” K. Quick; sister, Margaret McDowell. A funeral service will be held 3pm Sunday, March 31, 2019, at Christian Fellowship Church, with burial at Sunset Memorial Park, officiated by Rev. Julius Bunch. A visitation will be held from 6-8 P.M. Saturday, March 30, 2019, at the church. Burroughs Funeral Home is honored to serve the Grisham family.